IMPORTANT NOTE: for the purpose of this article we perform virtualized installation based on KVM. You can read more about KVM based OpenStack installation in this article: Install OpenStack on KVM – How To Configure KVM for OpenStack. Our internal traffic is based on VLANs, which send and receive VLAN tags. In KVM based installation it doesn’t matter, but if you perform installation on bare metal (real hardware) you need to use network switch supporting IEEE 802.1Q standard, otherwise the interconnectivity between Instances running on different Compute hosts within the same Tenant will not work. In our virtualized installation, as mentioned before, internal traffic (eth1 interfaces) is based on virtual isolated network (no gateway specified) inside KVM vHost, which allows VLANs. 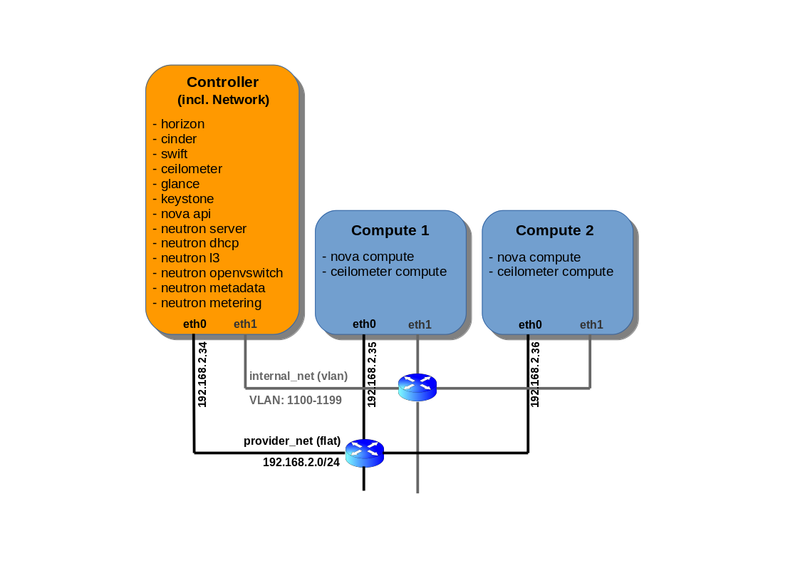 External eth0 interfaces are bridged to a Linux bridge on vHost, which is connected to a provider network (provider_net), which is a flat access network (no VLAN tagging). Before we start Packstack deployment, network interfaces eth0 should have static IP configuration, config files for eth0 and eth1 interfaces, that is ifcfg-eth0 and ifcfg-eth1 should exist on all nodes in /etc/sysconfig/network-scripts/ directory and should be in state UP. NetworkManager service should be stopped and disabled on all OpenStack nodes. Packstack generates answer file with the default values, some of the parameters need to be modified according to our needs. Here you can find the complete answers.txt file used for our Packstack deployment. * File /root/keystonerc_admin has been created on OpenStack client host 192.168.2.34. To use the command line tools you need to source the file. * To access the OpenStack Dashboard browse to http://192.168.2.34/dashboard . As we mentioned at the beginning of this tutorial, after successful Packstack deployment no additional configuration is needed, cloud is basically ready to work right now, because answers.txt file did all the hard work. The only thing we need to do is a quick check if the cloud is configured according to our expectations. Use credentials from answers.txt file (admin/password) to login to the Horizon dashboard. In this way, we will avoid being prompt for authentication each time we want to execute the command as admin. 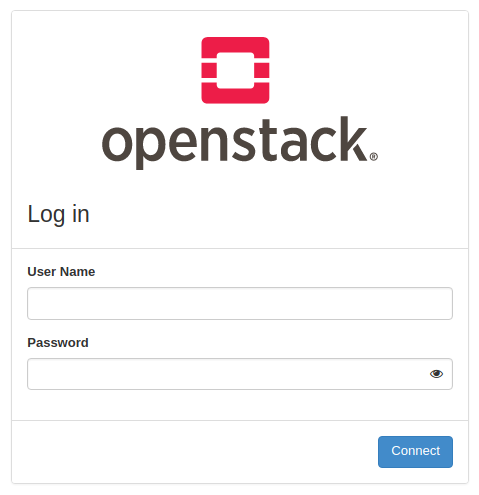 Let’s try to obtain some information about our OpenStack installation. And that’s it, our OpenStack cloud is now ready to use.